April was pretty colorful month in the terms of nature’s awakening, but surprisingly pretty monotonous with my reading genre selection. As I have confessed before, I got totally hooked up with science-fiction saga about spaceship Rama. 1500 plus pages of sci-fi left me deeply touched by its messages. Visionary gifts of both authors were so accurate in this “fiction” book, that their descriptions of the future on Earth, were suspiciously so close to our times, now. Massive financial crisis, wars,… Spooky. Second part of Rama’s adventure was “surprisingly”named Rama II 😉 [*Not in Czech translation of the book, which I have read tough] The main take away (for me) was, importance and timelessness of LOVE, no matter of time and space. We should not forget about this, the most important and unique manifestation of being human. Ever! Those species, which primary value is well-being of the society, will outlive those species, in which individual is the highest. Knowledge does not exist in vacuum. Only knowledge incorporated into life through experience will manifest its real meaning. It is very dangerous to project one specie’s behavior onto other species. We (Octospiders) cannot judge your specie (people) from our point of view. We must carefully watch and obtain information about you without adding any “colors” of our own experience into it. It does not matter how intelligent child is, but what she decides to do with it. Parenthood is an adventure, without any guarantee of result. The only thing you can be sure of is, that you will never be sure whether you have done enough. Never in our history, we (Octospiders) have thought that we are the peak of an evolution. We (Octospiders) are much more modest that you (human beings), we don’t pretend that we would ever be able to understand everything. The key to life is to understand that we are mortal beings, understanding it is happiness. 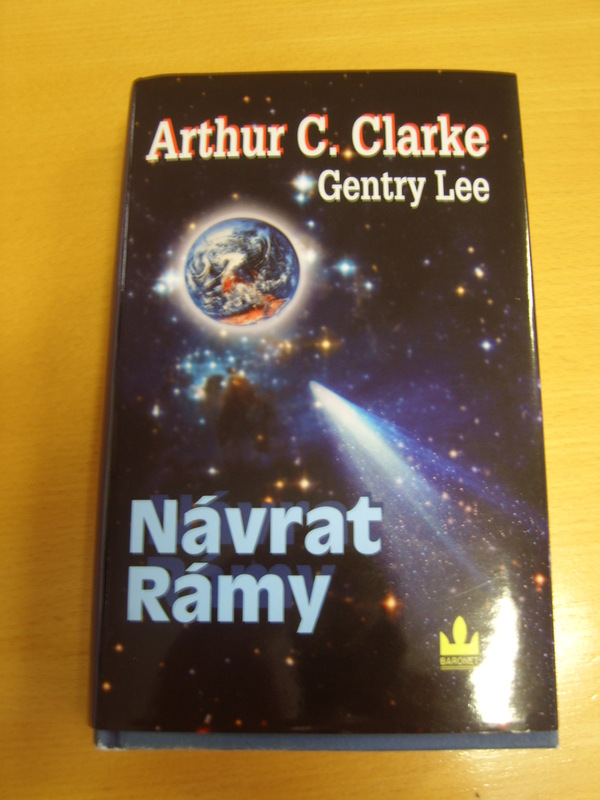 BRAVO, Arthur Clarke and Gentry Lee!